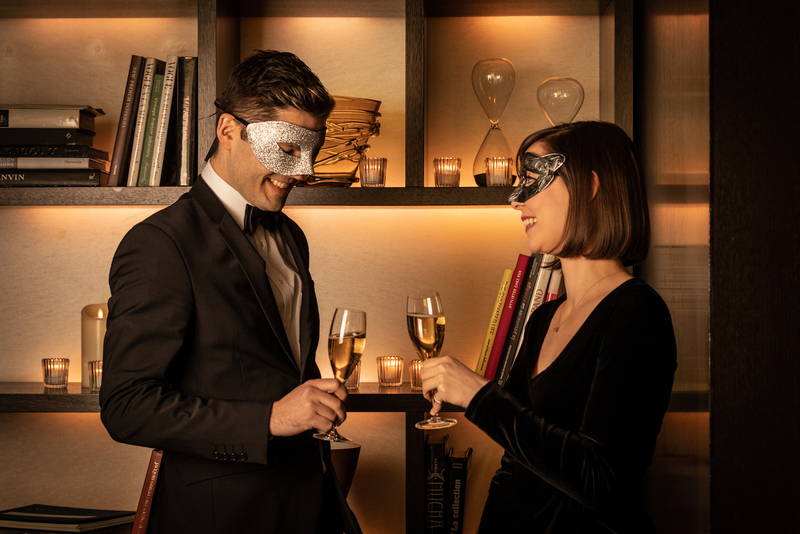 On Feb 23, Grand Hyatt Tokyo will host its first-ever masquerade party inspired by the Carnival in Venice, a festival held every year around February, where attendants wear elaborate masks to celebrate the history and culture of Venice. The event will be held for one night only at The French Kitchen restaurant and bar, and a live DJ will be spinning deep house music throughout the night as guests enjoy a seasonal dinner buffet created by Chef de Cuisine Troy Lee, along with two varieties of free-flowing Champagne from Duval-Leroy. Duval-Leroy is the only independent and family-owned Champagne house since 1859 whose environmentally conscious vineyards produce high-quality Champagne that pairs well with food. Guests will be invited to dress in their best black and white attire and bring a mask of their choice to enjoy an evening filled with mystery and intrigue.